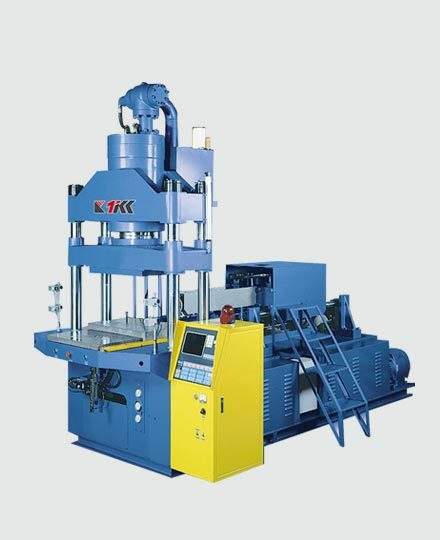 Vertical mold clamp with horizontal injection with long closing and opening stroke, ideal for injection of large work pieces. Extra heavy structure and large mold capacity along with simple and easy-to-use layout. Horizontal injection can be raised or lowered using hydraulic screws for fast, accurate positioning. There are few restrictions on the dimensions of molds or mold lines, and the range of applications is very broad. The platen uses self-lubricated axles which require no further lubrication, for smooth, easy movement and super-long useful life. 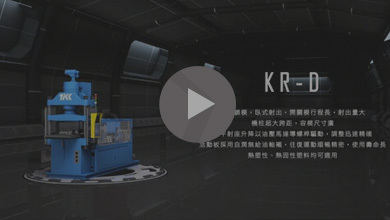 Special functions for certain products can also be programmed, including strong clamping force, small injection quantities, faster injection rates, multiple die-sets, mold ventilation, mold vacuum and other operations. Other functions include insertion and cyclic finishing with a slide platen or rotary plate as needed. If you can't find the right machine,Let us help you.